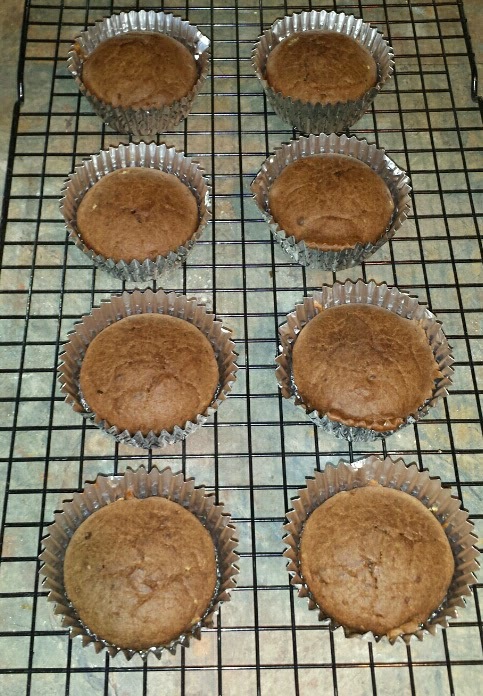 First line cupcake pan with foil liners. 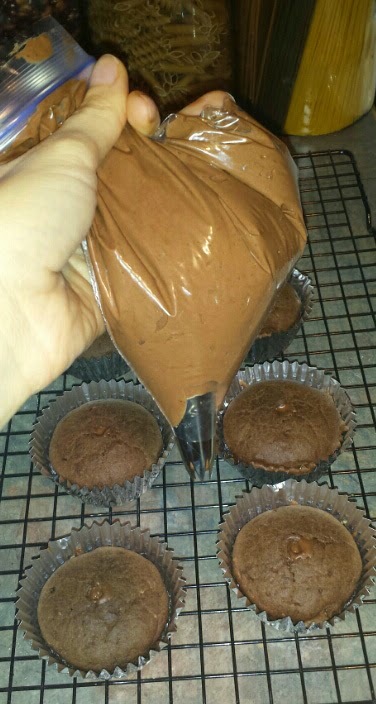 Then check this out, baking made super easy! Ready? 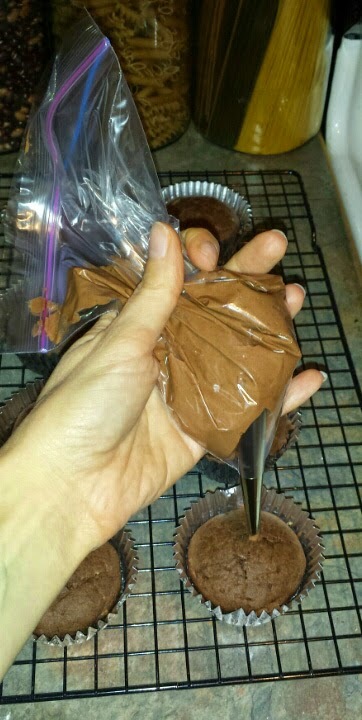 Mix all dry ingredients together and make sure there are no clumps. 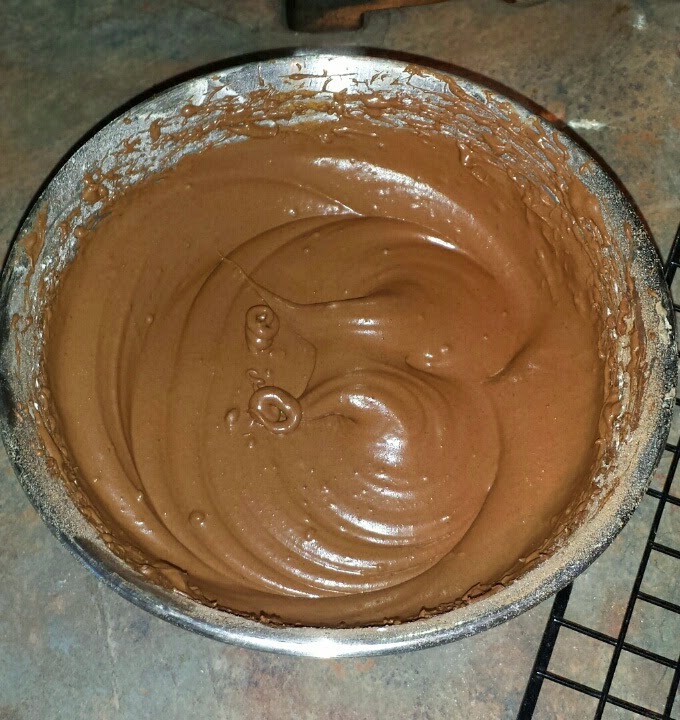 Then mix all the wet ingredients together with an electric mixer. Now simply add the dry to the wet slowly and mix until completely combined. Once you have your divine mixture all together simply fill the liners about three quarters full. Bake about 18 minutes or until they pass the toothpick test. 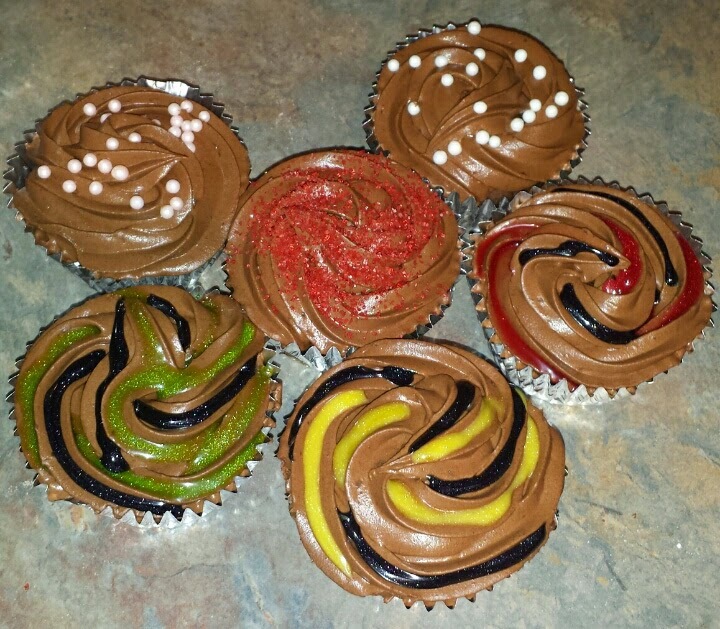 Let cool before icing. To make the ever so delicious Coco-Carmel Cream add only the white part of the coconut milk* in a small to medium size bowl and whip in some unsweetened cocoa power and powered coconut nectar until desired sweetness. Then add a little tapioca flour for thickening. Keep tasting it until you reach what flavor your looking for. The tapioca will make it a bit chalky so make sure to keep trying it. You can also add dry spices to help thicken it and for flavor. If you put it in the fridge fire a few hours out even overnight and then mix again it will be a lot thicker. * To powder coconut nectar simply place in coffee grinder on fine setting but do not over process as it will heat too much and stick. It is more important to have a fine powder for the cream. *An easy way to separate is to chill over night. You can use the clear liquid for a shake or smoothie.